Spearfish, SD – Move over Yellow Jackets. The butterflies are taking over campus at Black Hills State University. Dr. Holly Downing, professor of biology at Black Hills State University, who studies social insects, is among many in the state who have noticed the increase of butterflies this year. She suspects the increase of orange-and-black-winged fluttering butterflies seen on campus and throughout the Black Hills this season are Painted Ladies, Vanessa cardui. “The large migrating population of Painted Ladies this year is probably due to favorable conditions that have caused less die-off or greater reproduction than usual,” says Downing. According to Downing, Painted Ladies are migratory butterflies that are widespread throughout the world. They feed on and lay eggs on a wide variety of plants, which explains why the flora at BHSU is especially attractive to them. “The Painted Ladies we are seeing on campus are probably butterflies that emerged north of here. They are headed south for the winter. Adult butterflies can hibernate farther north, but only successfully during mild winters,” says Downing. The butterfly days of autumn are numbered, though. Downing says Painted Ladies usually travel south in September to overwinter. Washington, D.C. -To support efforts to protect fisheries in the Gulf of Mexico, U.S. Secretary of Commerce Wilbur Ross announced that the National Oceanic and Atmospheric Administration (NOAA) has issued awards totaling of $16.7 million from NOAA’s RESTORE Act Science Program. This year, the awardees’ proposed projects support research into bluefin tuna, blue crabs, Mississippi oyster farmers, and other parts of the Gulf ecosystem. 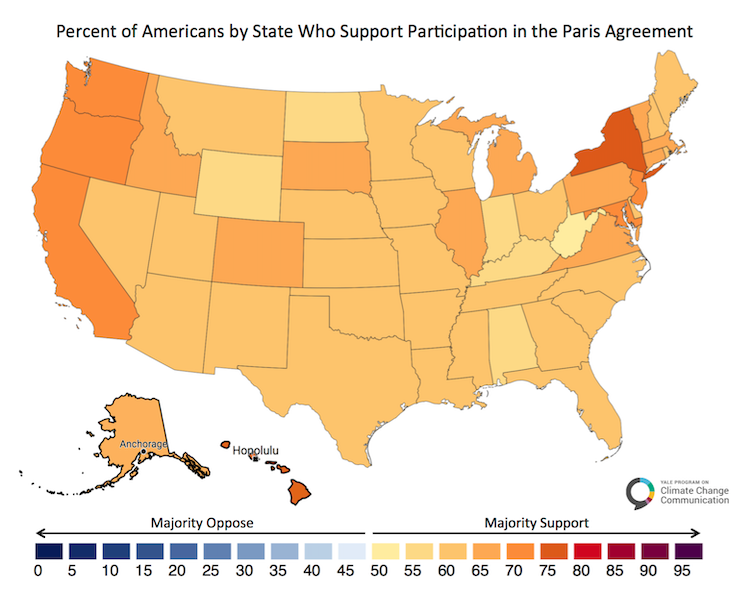 Should the US stay in the Paris Agreement? 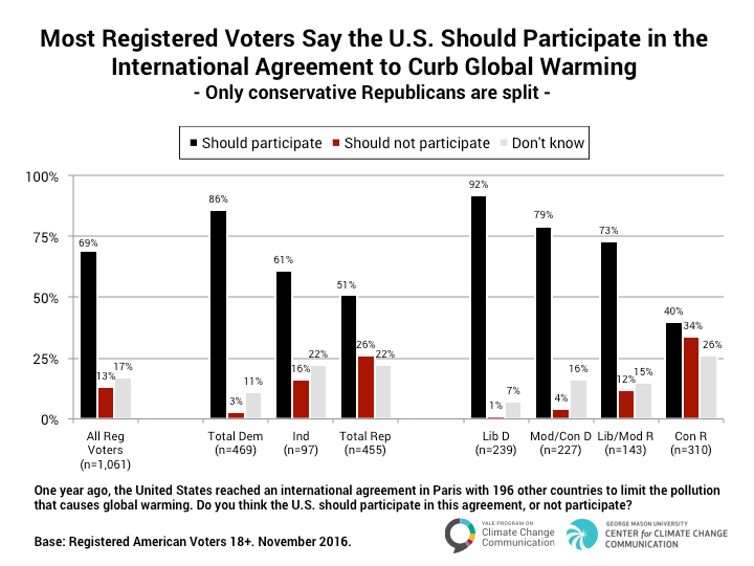 Should the US stay in the Paris Agreement? A majority of Democrats and Republicans think so. 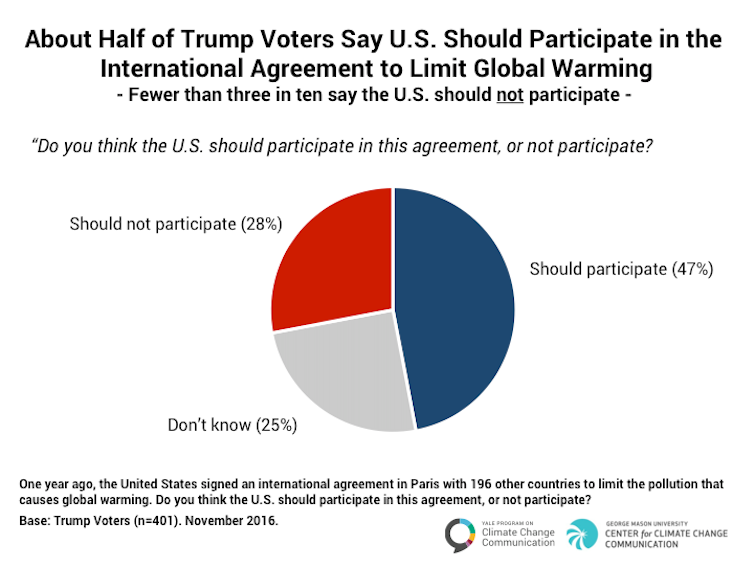 For the past month, President Donald Trump and his senior advisers have wrestled over whether to keep the U.S. in the Paris climate agreement, repeatedly postponing their meeting to reach a final decision. Custer, SD, May 15, 2017 – The May 2017 meeting of the Black Hills National Forest Advisory Board (NFAB) is scheduled for Wednesday, May 17 at the Forest Service Mystic Ranger District Office, 8221 Mount Rushmore Rd, Rapid City, SD 57702. The meeting will begin at 1 p.m. and end no later than 5 p.m. The meeting is open to the public. 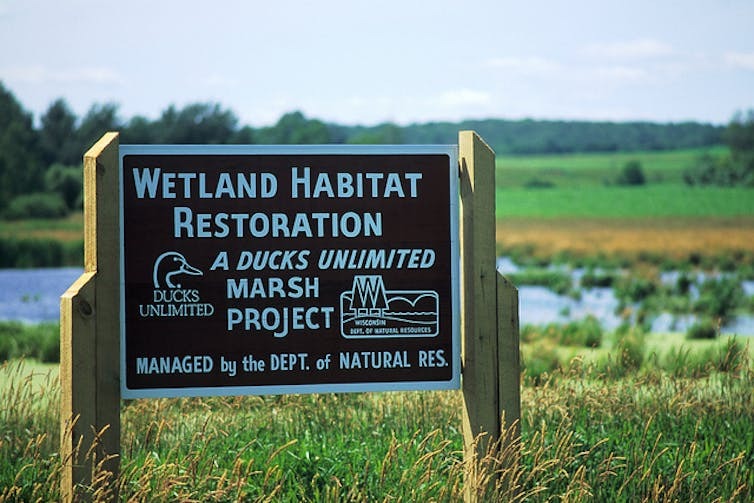 Topics on the agenda for the meeting include: Black Hills Resilient Landscape Project update, Black Hills Invasive Plant Partnership presentation, non-motorized trails and teckla osage 230 kV powerline update. For further information, contact Scott Jacobson, NFAB Committee Coordinator, Black Hills National Forest, 1019 North 5th Street, Custer SD 57730, (605) 440-1409. As President Trump pivots from a failed attempt to overhaul health care to new orders rolling back controls on carbon pollution, environmentalists are preparing for an intense fight. We study environmental politics, and believe the health care debate holds an important lesson for green advocates: Policies that create concrete benefits for specific constituencies are hard to discontinue. Opinion polls and hostile audiences at Republican legislators’ town hall meetings show that the Affordable Care Act won public support by extending health insurance to the uninsured. And this constituency is not shy about defending its gains. The same lesson can be applied to environmental issues. In our view, environmentalists need to defend environmental regulations by emphasizing their concrete benefits for well-defined constituencies, and mobilize those groups to protect their gains. Environmentalists should continue making broad, long-term arguments about addressing climate change. 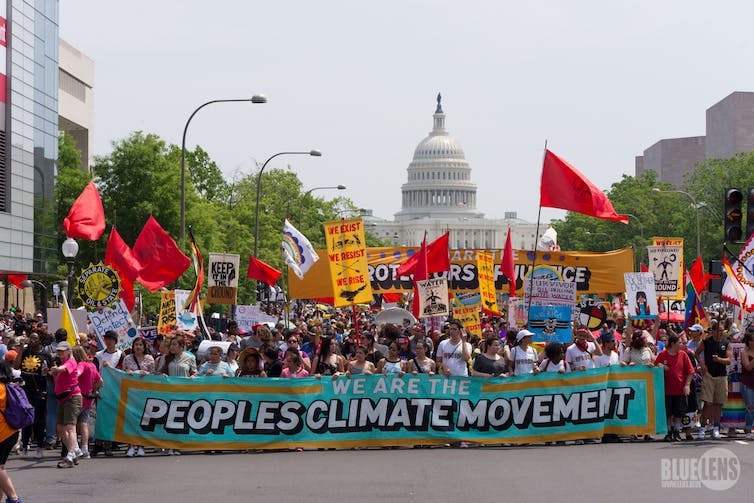 After all, there is an important political constituency that views climate change as the defining challenge for humanity and favors active advocacy on climate issues. At the same time, however, they need to find more ways to talk about local jobs and benefits from climate action so they can build constituencies that include both greens and workers. Americans have a love-hate relationship with pork-barrel politics. Reformers decry it, but many legislators boast about the goodies they bring home. As former Texas Senator Phil Gramm once famously crowed, “I’m carrying so much pork, I’m beginning to get trichinosis.” And pragmatists assert that in moderate quantities, pork helps deals get made. Classic studies of the politics of regulation by scholars such as Theodore Lowi and James Q. Wilson show that when benefits from a regulation are diffused across many people or large areas and costs are concentrated on specific constituencies, we can expect political resistance to the regulation. Groups who stand to lose have strong incentives to oppose it, while those who benefit form a more amorphous constituency that is harder to mobilize. We can see this dynamic in climate change debates. President Trump and EPA Administrator Scott Pruitt contend that undoing carbon pollution controls will promote job growth. 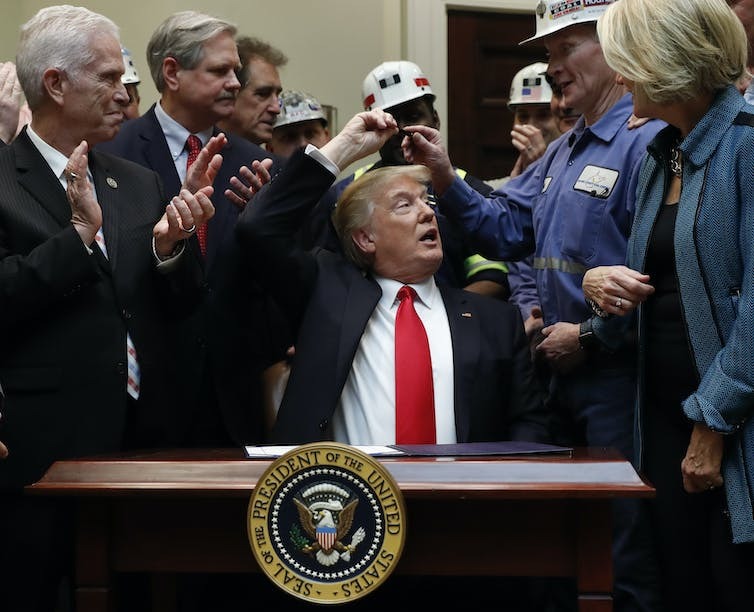 Cecil Roberts, president of the United Mine Workers of America, argues that the Obama administration’s Clean Power Plan will destroy coal jobs and communities, and that “green jobs” in clean energy industries are unlikely to be located in coal country. Climate change can be framed in many ways, and there has been much discussion about which approaches best engage the public. Environmental advocates can do a better job of emphasizing how climate regulations produce local benefits along with global benefits. 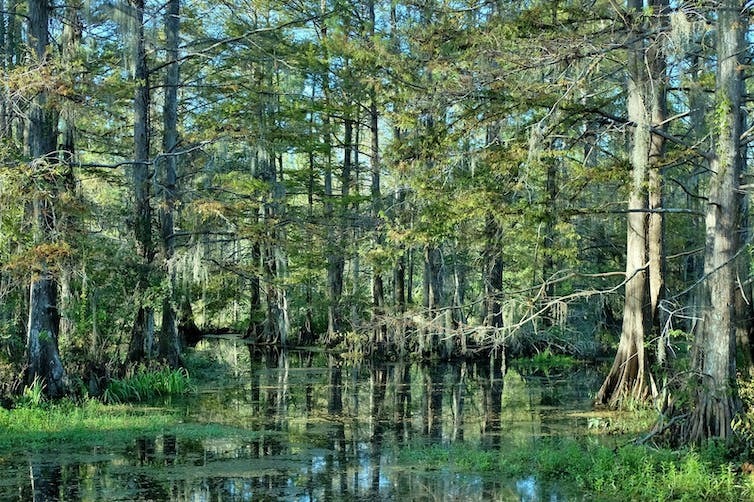 One promising initiative, the BlueGreen Alliance, is a coalition of major labor unions and environmental organizations. Before President Trump’s recent visit to Michigan, the alliance released data showing that nearly 70,000 workers in well over 200 factories and engineering facilities in Michigan alone were producing technologies that helped vehicle manufacturers meet current fuel efficiency standards. Regulations can be job creators, but this truth needs to be told effectively. President Trump’s approval of the Keystone XL and Dakota Access pipelines demonstrates the difficulty of fighting locally beneficial programs with global arguments. Environmentalists argue, correctly, that both pipelines are part of the infrastructure that supports the fossil fuel economy. For example, by some estimates the KXL pipeline could increase global carbon dioxide emissions by as much as 110 million tons annually by making possible increased oil production from Canadian tar sands. By endorsing both pipelines, Trump is probably seeking to consolidate his support among midwestern working-class voters who believe, rightly or wrongly, that urban environmental elites are imposing job-killing regulations. But these pipelines also impose local costs, which have spurred Native American protests against DAPL and opposition to KXL from farmers, ranchers and citizens in Nebraska.However, both the AFL-CIO and the Teamsters support the projects. They believe pipelines create jobs, although there is broad disagreement over how many jobs they generate over what time period. Local protests have not changed the Trump administration’s political calculus on DAPL or KXL, which is why opponents in both cases are turning to the courts. But in other instances environmental groups have successfully mobilized communities by highlighting local issues. Federal control of public lands is a sore issue for Republicans, particularly in western states. Utah offers a fascinating example. State politicians want to reverse President Obama’s designation of the Bears Ears National Monument and reduce the amount of land included in the Grand Staircase-Escalante Monument. But conservationists successfully blocked recent efforts by allying with the outdoor recreation industry. By some estimates Utah’s outdoor recreation industry employs 122,000 people and brings US$12 billion into the state each year. 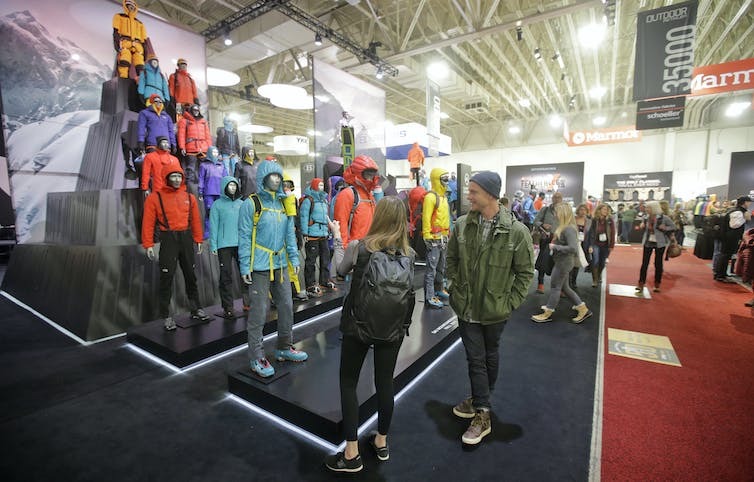 Utah hosts the biannual Outdoor Retailer trade show, which brings about $45 million in annual direct spending. In response to Utah officials’ efforts to roll back federal land protection, the outdoor retail industry has announced that it will move the prestigious trade show to another state after its contract with Salt Lake City expires in 2018. Patagonia is boycotting the 2017 summer show and asking supporters to contact Utah politicians and urge them to keep “public lands in public hands.” The bicycle industry is also planning to move its annual trade show to a location outside Utah. Governor Gary Herbert has reacted by offering to negotiate with the industry. U.S. Rep. Jason Chaffetz introduced a bill in January that called for selling off more than three million acres of federal land in Utah, but withdrew it after massive protests from hunters, anglers and outdoor enthusiasts. Hunters and gun owners are important constituents for Chaffetz and other conservative Republican politicians. 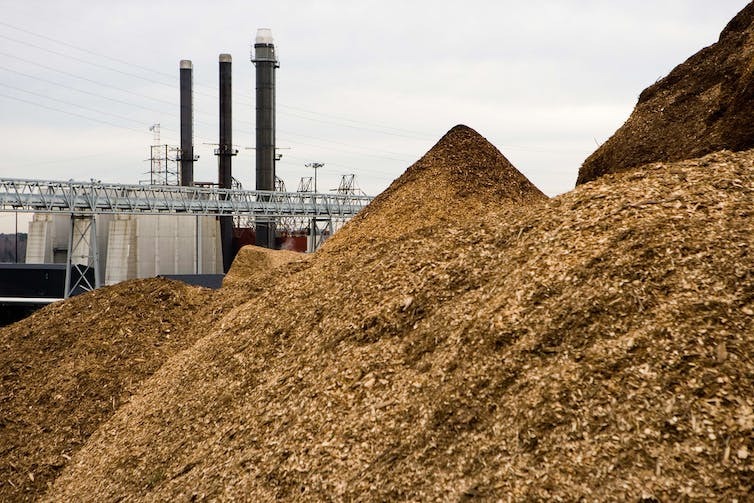 Environmentalists also successfully localized green regulations in Ohio, where Republican Governor John Kasich vetoed a bill in December 2016 that would have made the state’s renewable electricity targets voluntary instead of mandatory for two years. As a politician with presidential ambitions who claims credit for his state’s economic success, Kasich knows that several high-tech companies in Ohio have committed to switching to renewable energy. As one example, Amazon is investing in local wind farms to power its energy-intensive data servers, in response to criticism from environmental groups. In sum, environmental regulations have a better chance of surviving if there are mobilized constituencies willing to defend them. And in the longer term, a local and job-oriented focus could expand the blue-green alliance and move the working class closer to the environmental agenda.